Designs and patterns on fabric, home goods, and gifts. Patterns and designs are everywhere. Everywhere you look and at every man-made object, you will see the hand of a designer or artist. Even in nature you can see patterns and design, created by the Great Designer. Walk into any store, whether furniture, gift, grocery, or fabric, you'll see multiple designs and patterns. We don't often think about how we are surrounded by the work of creative people, do we? If you are a creative, or even if you're not, I'm sure your home is full products designed by an artist or designer. Similarly, the quilt not only has a surface design, created by an artist in paint, but notice the pattern of that stitching. The flip side of the quilt has fabric with a different design, which means I can change the look simply by flipping it over. 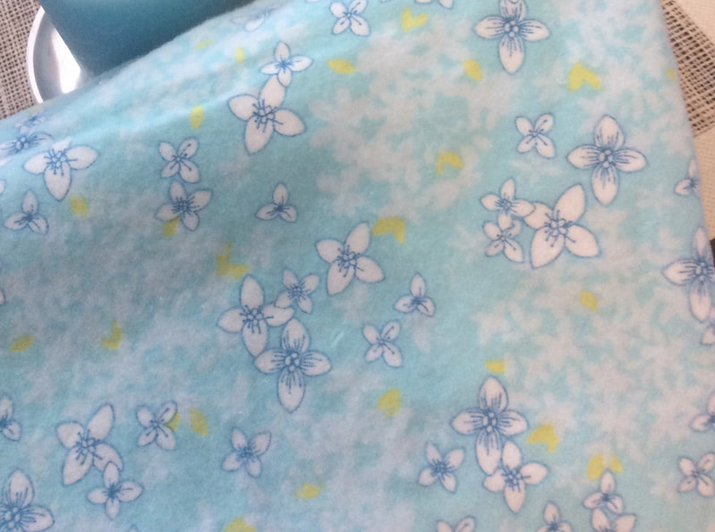 When I went shopping for fabric to make my wee granddaughter a little outfit, I found this cute fabric with flip flops, popsicles, and palm trees and couldn't resist it. Why? I love the pattern that an artist dreamed up and then created. Sometimes I will see a piece of fabric that has such a beautiful or colourful design I will buy some if it even if I don't have a plan. My mother, and excellent seamstress, taught me to sew when I was a child and I was making clothes for myself by the time I was then. While I don't sew now like I did when my children were young, I still find time to create a few garments for myself every year, and now that I have little grandchildren, I have them to sew for as well. The fabric piece below was one I saw in a store and it really caught my eye. The array of patterns and designs in flannelette is gasp-inducing. They drip with cuteness and fresh colours. This piece became little things for my daughter when she had her second baby, and wee diapers for her little girl's dolly. 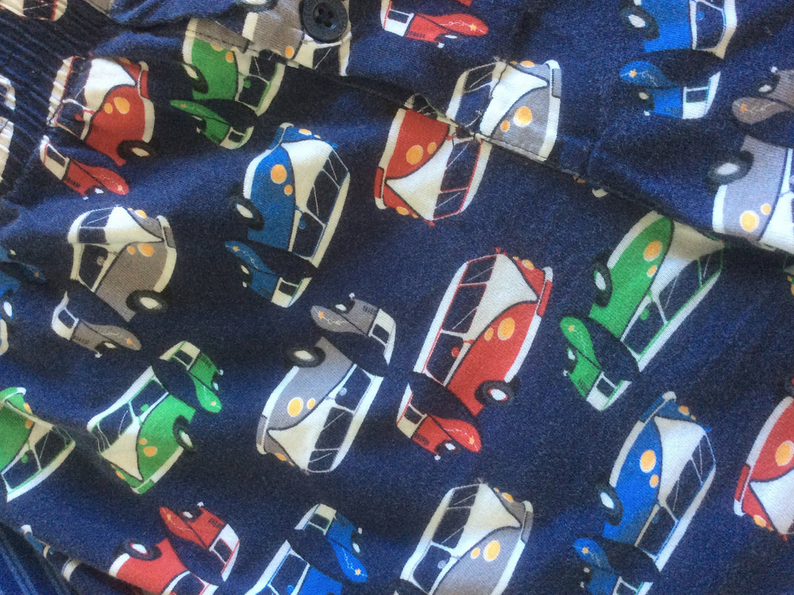 Patterns show up on all kinds of things, such as these jaunty Volkswagen vans on a pair of boxer shorts. I have had a lot of fun creating design for products in my store, Summer Bay Studio. 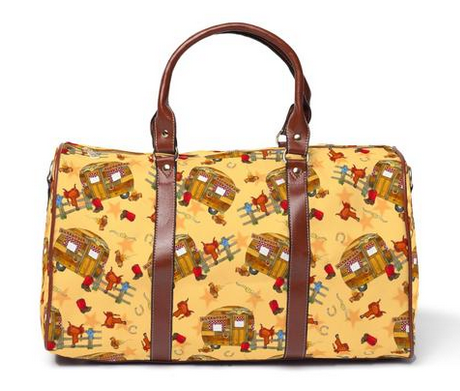 If you have and RV or like to travel, I think you'll enjoy the travel bags decorated with my RV Happy designs. 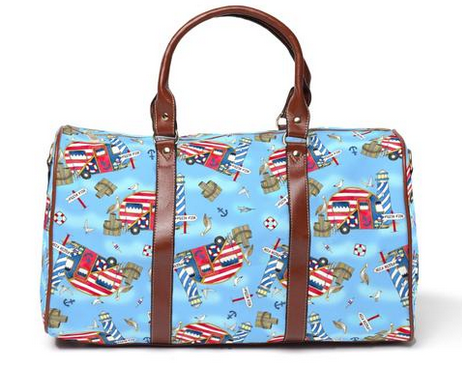 There are six themed designs in all, and the travel carry-ons come in two sizes. 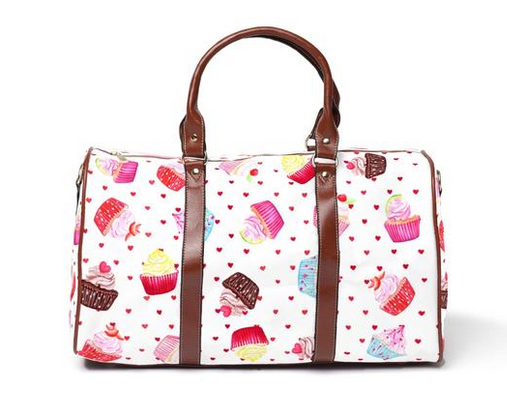 If you love to travel and want to carry a stand-out bag like no other, here is another option. My Hey Cupcake collection is cuteness in motion. And the designs show up on all kinds of equally cute things. I'm creating new designs all the time. If there is something you'd like to see on an apron, tote bag, mug, or floor mat, contact me and let me know, and I'll see what I can do. ​Be sure to join my email list below. I have specials in the store every week for subscribers, and free things coming along all the time.